All of us experience anxiety, feel worried or lose sleep at one time or another. Scripture exhorts the Christian not to give in to fear and Jesus tells us plainly not to worry. Yet for many of life’s uncertainties, our pain and limited control over outcomes lead to emotional, spiritual and even physical distress. Dr Leslie Lim, a clinician and dedicated bible student, breaks down the reality of fear and anxiety in a practical and inspiring way in Confronting Your Anxiety. The book has three parts: understanding fear and anxiety; identifying the anxieties of life; and confronting anxieties. 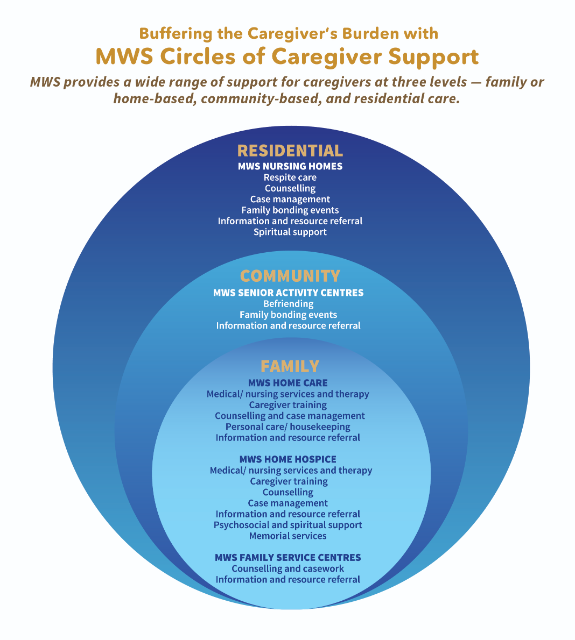 This progression helps readers take a step back and look objectively at what they are experiencing. Lim establishes at the outset that while a sense of fear can help protect us from danger, God did not design us for a life of worry. He also discusses how some personalities are anxiety-prone and telling such persons to “snap out of it” is not helpful. The next part deals with common causes of anxiety and fear: from the storms of life, a sense of God’s absence, to failures and fear of ill-health, among others. Along the way, the author weaves in biblical insights and injunctions to help readers see that these sources of fear are not beyond our faith and God’s sovereignty. Instead, we are exhorted to view them instead as part and parcel of life, helping us grow in the fear of God and in wisdom for a life well-lived. The final section provides practical steps to confront anxious thoughts by taking refuge in God and exercising spiritual authority as children of God. While a good sermon and prayer ministry can provide some measure of assurance and deliverance, the Christian needs understanding and discipline to embrace a lived theology of God’s love, and hold fast to an identity and destiny as God’s child. 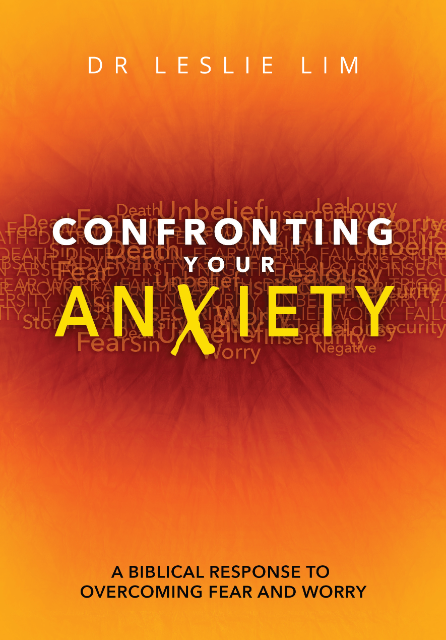 Confronting Your Anxiety is an encouraging book that reinforces biblical truth and encourages practical action. Lim’s advice will help the growing Christian to thrive despite the reality of fear and worry in life. 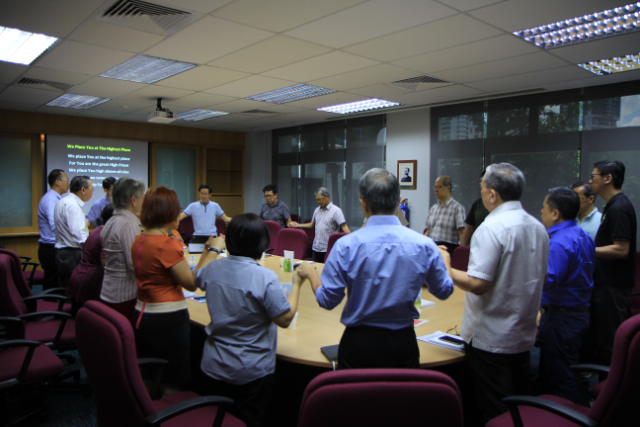 Rev Jenni Ho-Huan is a pastor-writer who works alongside her husband in their ministry to serve churches in developing church health, raising leaders and strengthening core ministries. She is author of five books and enjoys having deep conversations, mentoring, and spending time with her children and cat. 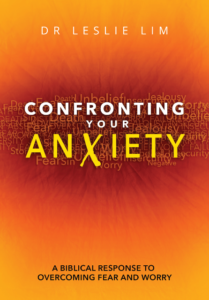 Enjoy 20% off the price of Confronting Your Anxiety by keying in the promo code METHODIST_AUG at the webstore’s checkout page (valid from 1–31 Aug 2018).